Made from finest quality leather, Radley purses are fast becoming one of the most popular accessories in the Radley range. All of them feature the famous Radley logo, Scottie the dog, and every purse has that attention to detail that you would expect from a leading design brand. The collection of Radley purses follows several different themes. A Radley purse typically comes in two varieties, a zip coin purse and a flapover purse wallet. They are made from the same high quality leather that Radley uses for their bags and Radley also don't skimp on the design of their purses. Colourful, fun and stylish, Radley purses are a great accessory that blends both style and functionality into a great user friendly product. All the purses come in different sizes, small, medium and large so you're sure to find something to your liking. Please browse through our pages at the bottom of the screen. 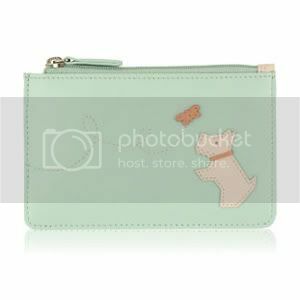 We have all types of Radley purses and wallets in our store. To view the rest of our pages then simply click on the "next" link at the bottom of this page. Alternatively, you can seach for any type of Radley purse you like by using the search box at the top of this page. Radley Gift Boxed 'Follow Me' Navy Leather Bifold Purse BNWT RRP Â£65 New!